Remember the ‘Y2K Millennium Bug’ scare? According to experts, at midnight on December 31st 1999 computers would erroneously reset their clocks to the year 1900, wreaking untold havoc and destruction. UK Prime Minister Tony Blair declared it was “one of the most serious problems facing not only British business but the global economy today,” Computer World magazine wailed “We’re accelerating toward disaster!” and schoolchildren were lectured to “Go and tell mummy and daddy, and ask what they’re doing to prepare.” Needless to say, the expected global meltdown didn’t happen — apparently, a few Australian bus-ticket validation machines malfunctioned, the US Naval Observatory web site reported the New Year as 19100, and a Spanish worker was summoned to an industrial tribunal on February 3rd 1900 (where he or she was presumably fined for showing up 100 years late). While this fin-de-siècle nonsense was building to an apparent crescendo, my debut article on sample-based orchestral arranging quietly slipped out in SOS’s December 1999 issue. Back then, the equipment scene was dominated by rackmount samplers such as the Akai S3000, preconfigured hardware modules (the Roland JV1080 fitted with an ‘Orchestral’ card was a popular choice) and a handful of keyboards containing half-decent orchestral sounds. At the time of writing, software sampler technology spearheaded by NemeSys Gigasampler had yet to gain a foothold. 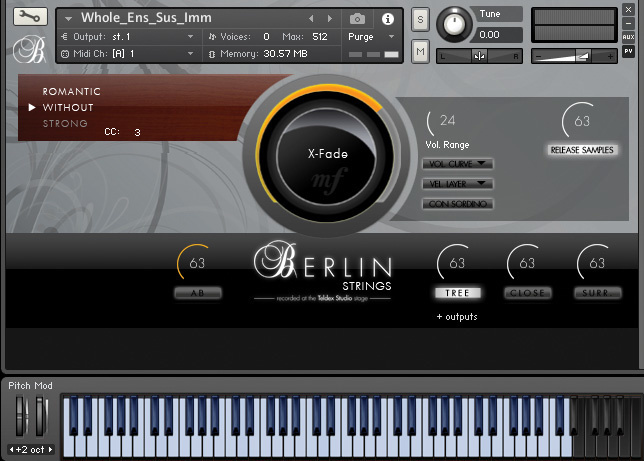 Music technology has changed greatly since then, and for users it’s unquestionably a change for the better: thanks to the advent of computer disk streaming we now enjoy virtually unlimited sample time, and this in turn has inspired developers to create a mouth-watering range of top-quality orchestral sample libraries. We also have fabulous creative tools which, if used in a musically intelligent way, can help to shape the samples into astonishingly life-like performances. 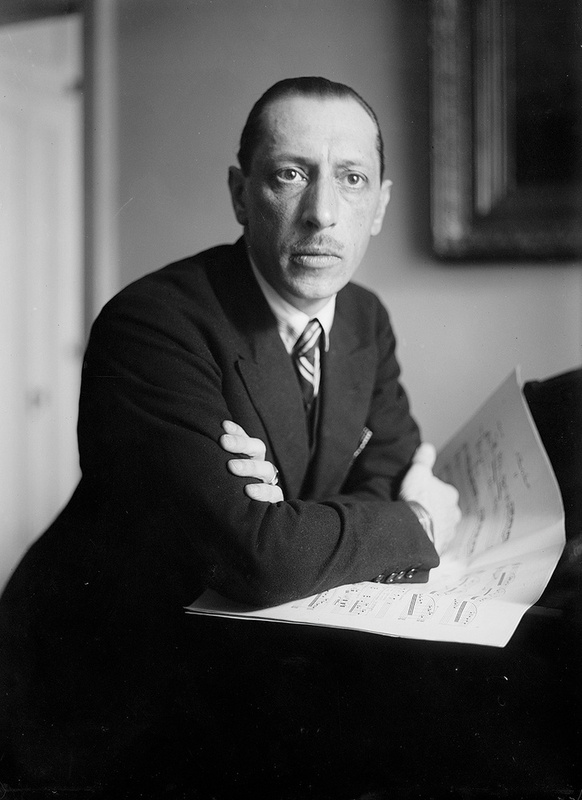 As Igor Stravinsky said, “Now is the best time ever for music making. It always has been.” Nevertheless, as the Millennium Bug hysteria makes clear, it’s important not to cave in to technophobia, nor let an irrational fear of the new hold us back. Igor Stravinsky.The brave new world of orchestral samples is a great resource for musicians, composers and programmers. If you fancy dipping your toes in the water but are put off by the technical challenges or baffled by the jargon, if you have experience in the field but need a refresher course, or even if you’re an orchestral sample guru who knows the subject backwards but would like to see its principles confirmed in print in a reputable publication, I offer this series in the hope of stimulating a glorious outburst of orchestral creativity amongst SOS readers. 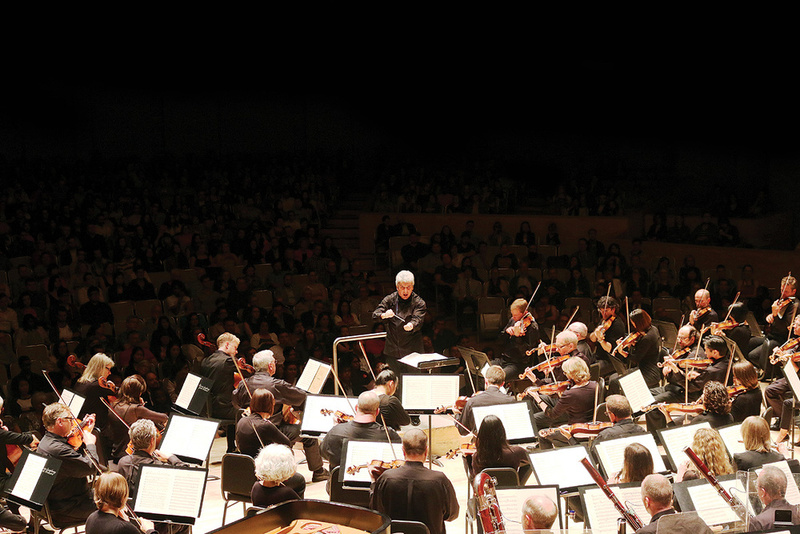 Real-life orchestras have grown in size from groups of 20-30 players in the Baroque period (1600-1750) to the 100-strong symphonic ensembles now heard in large concert halls and on Hollywood film soundtracks. Along the way, new instruments such as clarinets, trombones and tubas were added, while others fell into disuse: the 16th-century stringed instruments lute and theorbo are long gone, the harpsichord has been ousted by the infinitely more expressive piano, and the ‘natural’ horns and trumpets of earlier eras have given way to modern, precision-built descendants bristling with valves and levers, making it possible to play accurately in any key (providing you practice, that is). Nowadays, the orchestra’s four principal instrument families — woodwinds, brass, percussion and strings — are often augmented by keyboards (piano and/or celeste) and occasionally a choir. The standard orchestral instrumentation is listed in the box below; supplementing these core instruments are variants such as the alto flute, the bass oboe and the wonderful contrabass clarinet. You’ll also occasionally encounter the cimbasso, which manages to sound charismatic despite looking like a trombone that’s collided with a bus — it’s now used mainly in 19th-century Italian opera scores, but has become a standard fixture in orchestral brass sample libraries nevertheless. Many contemporary works feature additional tuned percussion such as marimba, vibraphone and the beautiful high-pitched tones of crotales (tuned mini-cymbals), while the more muscular end of the percussion section, reflecting the influence of film composer Hans Zimmer, may well be beefed up by thundering Japanese taiko drums. Once we move into the sampled domain, all limitations vanish. The orchestral universe expands: massive, pounding Zimmer-esque drums and vast, histrionic string and brass sections dominate the world of trailer music where, in a rare quiet moment, you’re just as likely to hear a sampled koto (Japanese stringed instrument) as a harp. World instruments — sitar, cimbalon, Middle Eastern drums, African mbira, Indonesian gamelan — abound, breathy folk flutes like the Irish low whistle accompany the screen antics of Hobbits and elves, while choirs and female vocalists sing of impending cataclysms in all manner of made-up languages. Mixed in with this musical Tower of Babel are pulsing synths and moody, dystopian sound-design elements, further enlarging the sonic palette of what we might call The New Hybrid Orchestra. All these instruments and sound-design textures are available in contemporary sample libraries, beautifully sampled, bursting with creative possibilities and awaiting your programming pleasure. However, you can build a great orchestral arrangement using just the core instrumentation we’ve listed. I’ll explain the individual instruments as this series progresses; in the meantime you can learn about their ranges and playing techniques at the Vienna Symphonic Library’s Academy pages www.vsl.co.at/en/Academy/Instrumentology, and see some of them in action in the London Philharmonia Orchestra’s Instrument Guides videos at www.philharmonia.co.uk/explore/films/instrument_guides. “Choice is the beginning of art,” (another Igor Stravinsky quotation, uttered in 1908 while browsing Which Computer? magazine). 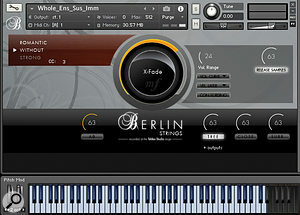 To get started in the orchestral samples game, you’ll need a computer, a MIDI interface, an audio interface, a software program with audio and MIDI recording and editing facilities (referred to nowadays as a DAW, short for Digital Audio Workstation) and at least one large-capacity hard-disk or solid-state drive (see ‘On Spec’ below for details). When it comes to the DAW I won’t provide an exhaustive comparison of the various options, but it’s worth mentioning that it is possible to make convincing orchestral music using pretty much any modern DAW — to the extent that if you already own a DAW and have experience in MIDI sequencing, I’d advise that you stick with your current system unless it throws up some insurmountable musical limitation. Yet, they’re not all equally capable, so if you’re starting from scratch or if you encounter one of those insurmountable limitations, it makes sense to seek guidance on which DAW will best suit your needs. You’ll inevitably encounter conflicting opinions about all this on Internet forums, but unless the writer supports their arguments with hard evidence based on long-standing (preferably professional) usage, such views are probably best ignored. In any case, don’t be afraid to reach out to professional users for advice — musicians are usually happy to share information and offer creative tips. My own view is that you’re on safe ground with the tools professional musicians and composers use — and in my experience most of them tend to use either Apple Logic Pro (which runs only on Apple Mac computers) or Steinberg’s Cubase or Nuendo, which, like most DAWs now, run on both Windows and Mac. Part of the reason for these DAWs’ popularity in this field is undoubtedly that experienced composers have stuck with what they know works, but both applications have excellent MIDI facilities and a pedigree that stretches back to the ’80s. Of the other long-established applications, MOTU Digital Performer and Cakewalk Sonar have retained loyal followings. Pro Tools remains popular in other walks of audio production, but I’d personally advise against choosing this for MIDI sequencing unless you already use it — while its MIDI functionality has certainly improved in recent years, most seem to agree that MIDI editing is not its strongest point in comparison with other DAWs. 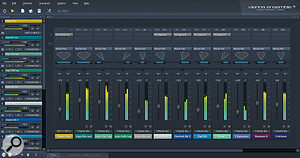 And of the new kids on the block, Cockos Reaper is worth a mention, as it offers some useful facilities, such as the ability to host your virtual orchestra in one project, while opening and closing arrangements in others without the bother and delay of reloading all your samples each time. On the hardware front, you’ll also need a MIDI instrument on which to realise your musical ideas. Most people use a keyboard, but you don’t need great keyboard chops: lines can be played with one finger, and there’s no shame in drastically slowing down the tempo of a sequence to input a tricky part. If you don’t play keyboard, a MIDI guitar or wind controller will do, though note that the latter can only play single lines, not chords. Given the seven-octave range of the orchestra, many composers favour an 88-note weighted keyboard, but with judicious use of a keyboard’s MIDI transpose function (which shifts your played notes up or down an octave or two), it’s possible to knock up a score on a standard 61-note instrument. As mentioned in my Arranging For Brass series (SOS May to August 2015: http://sosm.ag/top-brass-pt1), some composers create arrangements by inputting notes directly on their DAW’s score page or via a notation program such as Sibelius. Although I’ve heard convincing orchestral mock-ups that were created this way, I don’t recommend it. As explained below, successful orchestral sample programming relies to a large extent on human feel and expression, and so works best when originally played in real time on an instrument, rather than via a laboured series of mouse clicks. Lastly, you’ll need some good orchestral samples, an area in which today’s users are happily spoiled for choice. Please see the Orchestral Sample Libraries box for some initial suggestions. Though orchestral scores sound complex, they’re actually made up of relatively simple elements. When creating your own arrangement, it’s important to remember that you don’t have to do everything at once, or write all the music in one sitting — the trick is in breaking the job down into manageable chunks, then combining the various elements into a workable whole. Putting it another way, if you’ll excuse the cliché, every great journey starts with a single step: even if your instrumental skills are limited, there are simple starting points that will get the music moving, as I’ll explain during the course of this series. How do you write music? I do it by messing about on a keyboard in a free-form fashion, free of preconceptions, until I stumble upon something I like. Then I quickly record it into Logic for future reference. Some of these improvs never see the light of day, but others have provided the inspiration for entire compositions. The secret is to turn off your conscious mind, suspend your critical faculties (which always seem to be saying “This is crap,” don’t you find? ), and just play. Trust in the process, enjoy what you’re doing and something good will happen. Other composers hear tunes in their head, then record the melody line by whatever means they have at their disposal — play it on guitar or ukulele, hum or whistle it, and record it into your DAW, a handheld recorder, your phone, or whatever comes to hand. The vital point is that you must capture the idea before it flies away. Once an idea is recorded, you can start to add arrangement ideas, and that’s when the fun really starts. One of the reasons why contemporary sound libraries sound so much better than their 1990s counterparts is their huge dynamic range. Back in the hardware sampler Dark Ages, the ubiquitous Akai S3000 could hold only 32MB (that’s megabytes, not gigabytes) of sample memory. Once you’d loaded in (say) a string section playing its loud dynamic, there was too little RAM left to squeeze in its quietly played samples. To get round this limitation, successful composers filled their studios with banks of samplers, but making MIDI parts move between different dynamic layers was still an enormous faff, and often sounded clunky. Nowadays virtually all sampled instruments have multiple built-in dynamic layers, ranging from a simple soft-loud switch to the 100 velocity layers used in the Vienna Imperial sampled piano. This makes today’s instruments way more expressive and organic-sounding, and encourages players to subtly vary their touch when programming parts. However, while that’s a welcome development, another latter-day technical breakthrough has had an even more dramatic impact on dynamic expression. Diagram 1: Using volume automation in the DAW to perform crescendos or diminuendos (as indicated on the score above) doesn’t give the most convincing results. Here’s how it works: Diagram 1 shows a single note sustained for eight bars. As the musical dynamic markings (p, mp, etc.) and ‘hairpins’ indicate, the note starts quietly and performs two crescendos before fading down to a medium-quiet dynamic at the top of the last bar. Diagram 2: The Velocity Crossfade control (often mapped to your keyboard’s modulation wheel) can add great dynamic expression to sampled instruments.The screenshot below the music notation shows a MIDI volume curve that faithfully follows these dynamic changes; this simply makes the note get gradually louder and quieter without affecting its tone. However, if your sampled instrument supports Velocity Crossfades (as most do nowadays), you’ll hear the actual timbre of the note change as the sampled instrument’s different dynamic layers are crossfaded in real time (diagram 2). When the wonderful Velocity Crossfade function is activated, your playing volume is ignored: instead, dynamic control is reassigned to a MIDI controller, commonly the keyboard modulation wheel. Thus, if you listen to the demo of Samuel Barber’s lovely ‘Adagio For Strings’ on VSL’s demo page www.vsl.co.at/en/Music/MusicPlaylists, you’ll hear the strings crossfading (not switching) through their velocity layers, smoothly and indiscernibly morphing from their very soft, quiet notes up into their subtly brighter, medium-quiet deliveries as they perform the crescendo in the opening three bars. The effect is immediately satisfying, musically authentic and emotionally engaging. Diagram 3 shows a Velocity Crossfade curve that was created in real time with a MIDI fader, while playing a chord sequence on a Korg Kronos keyboard. Alternatively, you can draw in basic swells and fades after the event by creating a series of velocity points, and your DAW will automatically join up the dots, as shown in Diagram 4 below. We’ll talk about these dynamic techniques in more depth in next month’s article. Diagram 3: A Velocity Crossfade curve, created in real time with a MIDI fader. Diagram 4: A simpler-looking Velocity Crossfade curve, drawn directly into the DAW after the event. Spitfire Audio offer this pithy advice to anyone considering buying a computer for orchestral purposes: “Always make sure you’re as up to date as you can afford!” That translates as a machine fitted with a current 64-bit operating system: at the time of writing, Windows 10 or MacOS 10.12 (‘Sierra’), though given the frightening rapidity of software updates, that will probably change within the next 20 minutes! A fast processor is desirable — nowadays an Intel Core 2 Duo Processor 2.1GHz is considered to be the bare minimum requirement, but makers recommend using something rather more powerful, such as a recent-generation Intel Core i5 or i7 processor. (Again, I’m sure newer, better models will arrive before many months pass.) Since orchestral arrangements use a huge number of samples and the samples you’re playing load into your computer’s RAM, having plenty of RAM is even more important than having the fastest processor. Four gigabytes would just about suffice, but 8GB or 16GB will give you a smoother ride, and if you can afford more you’ll probably be able to use it. So, if investing in a new computer, it makes sense either to buy one with more RAM than you need, or to buy a machine whose RAM can be augmented at a later date. Keen orchestral sample users tend to fill up their hard drives alarmingly quickly — if you’re minted, the ceaseless flood of new libraries is a constant temptation, while for the shallow of pocket, some of the free Kontakt libraries available on the Internet are irresistible. With this in mind, it’s advisable to grab yourself a large hard drive from the outset. I’d recommend at least a 2TB model, but 4TB if you can afford it. If money’s no object, then buy a solid-state drive (SSD) — they use no moving parts, are faster and (in most respects) more reliable than conventional hard drives, and are silent. Drives may be internal (ie. fitted inside your computer) or external. Since Firewire has become redundant, external drives (recommended speed 7200rpm) need to support a USB 3, Thunderbolt or eSata connection — though it’s worth noting that most Firewire drives currently appear to function well enough via a Thunderbolt-to-Firewire adapter. 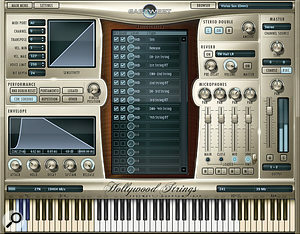 Composers with large orchestral palettes often run their sound libraries independently of their DAW, installing their samples on a second computer (referred to as a ‘slave device’). The Vienna Ensemble mixing host (see ‘Sample Players’ box) is a popular tool in such setups, as it can house all your sound libraries on the slave machine. However, it’s not obligatory to go to such lengths: beginners are advised to keep things simple and start off with a single computer. A few final words on originality. We can’t all be John Williams, but we can at least try to sound like ourselves. In the self-referencing world of trailer music, dominated by massive, clobbering Zimmer-esque drums and vast-sounding, histrionic strings and brass sections, 99 percent of composers seem hell-bent on sounding the same as everyone else. In the parallel universe of TV music, Thomas Newman’s brilliant cues for the 1999 film American Beauty have been so extensively copied by spineless media composers that I have to restrain myself from kicking in the screen each time I hear some wretched knock-off of his hauntingly simple piano-and-strings motif. You’ll know the one I mean when you hear it. Do yourself a favour and buy the soundtrack album, but don’t plagiarise the cue or I’ll have to kill you! Next month we’ll investigate legato samples, keyswitches and rhythmic ostinatos, and look at some simple ways of adding orchestral samples to your arrangements. Here’s an overview of 21st-century full orchestral collections, comprising all solo instruments and ensembles of the four instrument families listed above, along with the common articulations required to realise a traditional classical score. A host of other developers offer samples of individual sections (brass, percussion, etc.) but fall short of providing the whole shooting match. There are too many such companies to include in this general overview, but we’ll include links for them in upcoming articles in this series that feature the instrument family in question. Founded in 2000 by former cellist Herb Tucmandl, VSL have built up the world’s largest collection of sampled orchestral instruments, currently numbering over two million samples. Noted for their forensic attention to detail, precision and consistency, the samples were recorded in a controlled studio environment. Flagship collection: Vienna Super Package. Budget solution: Vienna Special Edition Volume 1. Recommended listening: ‘Adventures On Earth’ by John Williams, programmed by Jay Bacal www.vsl.co.at/en/Music/MusicPlaylists. This pioneering company, founded by Doug Rogers in 1988, joined forces with producer/composer Nick Phoenix and released EastWest Quantum Leap Symphonic Orchestra in 2003. The first orchestral library to be recorded in a concert hall from multiple mic positions, EWQLSO remains popular but is now musically outgunned by the larger, studio-recorded EWQL Hollywood Orchestra. Flagship collection: Hollywood Orchestra plus Hollywood Solo Series. Budget solution: EWQL Symphonic Orchestra (Play Edition) Silver. Recommended listening: ‘Soaring Over Hollywood’ by Thomas Bergersen www.soundsonline.com/Hollywood-Orchestra (demos page). Since 2007, composers Paul Thomson and Christian Henson have virtually set up camp in AIR Studio’s Lyndhurst Hall, creating a large range of orchestral libraries performed by world-class UK session players, which show off the hall’s famous acoustic. Flagship collection: Spitfire Symphony Orchestra plus Spitfire Percussion. Recommended listening: 'Kraken' by Andy Blaney www.spitfireaudio.com/shop/instruments/orchestra/spitfire-symphony-orchestra. Recorded at Berlin’s Teldex Scoring Stage, this young company’s orchestral series has helped raise the bar for professional sound libraries in recent years. Flagship collection: Berlin Strings, Berlin Woodwinds, Berlin Brass & Berlin Percussion. Recommended listening: 'Aerial Boarding' by Hendrik Schwarzer www.orchestraltools.com/libraries/berlin_strings.php. Like Spitfire, this West Coast company pay musicians royalties and sample them in a classic location — the Sony Pictures Scoring Stage in LA, recording venue for many a blockbuster soundtrack. 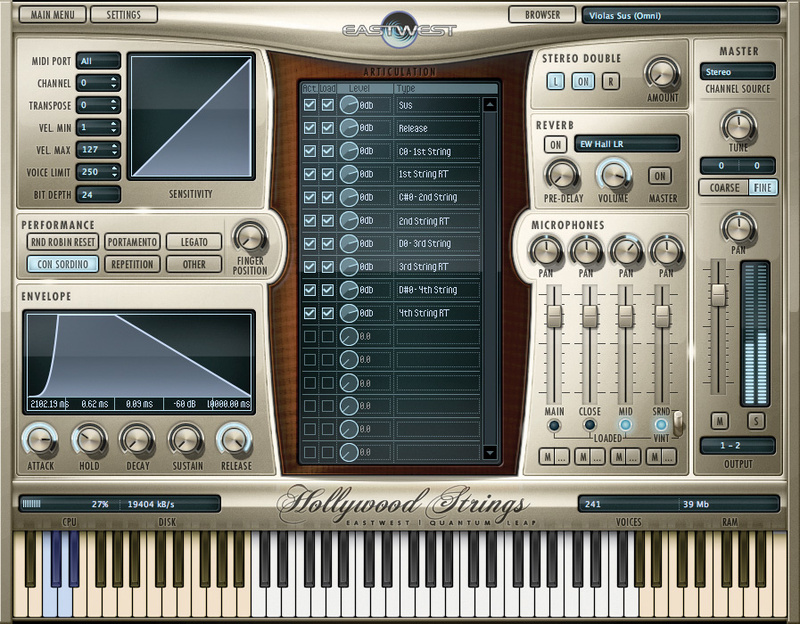 Having set out their stall with Hollywoodwinds in 2009, Cinesamples now offer a complete orchestral range. Recommended listening: ‘Awakening’ by Anne Dern & ‘Live Composition Screencast Piece’ by Michael Patti https://soundcloud.com/cinesamples (CineSymphony Lite demos). The jewel in the crown of an independent developer who has been flying the orchestral flag since the early days, Kirk Hunter’s Diamond collection combines the veteran producer’s numerous products. Flagship collection: Diamond Symphony Orchestra. Recommended listening: ‘3am Part 2’ by Kirk Hunter www.kirkhunterstudios.com/products/diamond-symphony-orchestra (demo tracks). Dating from 2004, GPO provides a radical alternative to the ‘big-is-best’ mentality by cramming every orchestral instrument under the sun into a compact and affordable package. Though it can’t rival the big orchestral collections for sonic depth, this versatile, musically solid library is ideal for beginners. Flagship collection/budget solution: Garritan Personal Orchestra 5. 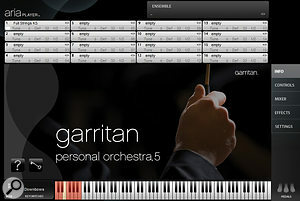 Recommended listening: ‘GPO 5 Compilation' & ‘Epic GPO Movie Score’ by Gary Garritan www.garritan.com/products/personal-orchestra-5/audio-demos. I should note that, for ease of comparison and economy of space, I’ve omitted products that mainly adopt a ‘pre-orchestrated’ approach (such as strings and brass playing together, or full, blended string sections with no separate violins, violas, and so forth). No disrespect is intended — such collections can be creatively inspiring, and we’ll take a look at them later in this series. 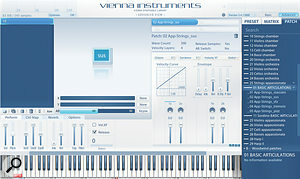 Developed by Vienna Symphonic Library for exclusive use with their sound wares, this proprietary sample player allows real-time switching between up to 144 loaded patches. It operates on only one MIDI channel at a time, so to build an arrangement you have to use multiple instances. Though not a sample player in its own right, the Vienna Ensemble mixing host can house multiple Vienna Instruments players, allowing you to assign them different parts. Vienna Instruments and Vienna Ensemble are provided free with every VSL library purchase. EastWest’s proprietary sample player’s 16 sound slots can operate independently on different MIDI channels or linked together in layered combinations. Play software is provided free with every Play-formatted EastWest library purchase, and works only with those libraries. This sampler has become the go-to industry standard for many developers, offering deep programming facilities and MIDI scripting for sample geeks and an easy-to-use interface for the rest of us. You can download the free Kontakt Player from NI’s web site; however, note that some libraries require the full version of Kontakt, which costs a few hundred quid — and is a recommended investment for serious orchestral sample users. Designed by Canadian company Plogue in collaboration with Gary Garritan, Aria is a simple-to-use sound engine included with Garritan Personal Orchestra 5, which also supports other Garritan and third-party libraries. Ensemble: Posh word for a bunch of musicians playing together. Mock-up: A rendition of an orchestral score as a demo for film directors and other interested professionals, or to show off your composing chops on the Internet... or to your mum. Usually made using sample-based instruments. MIDI: Musical Instrument Digital Interface. A protocol developed in the 1980s to allow electronic musical instruments and other devices (notably computers and sequencers) to communicate with each other. Sequencing: The creation of musical parts and arrangements, usually via MIDI. 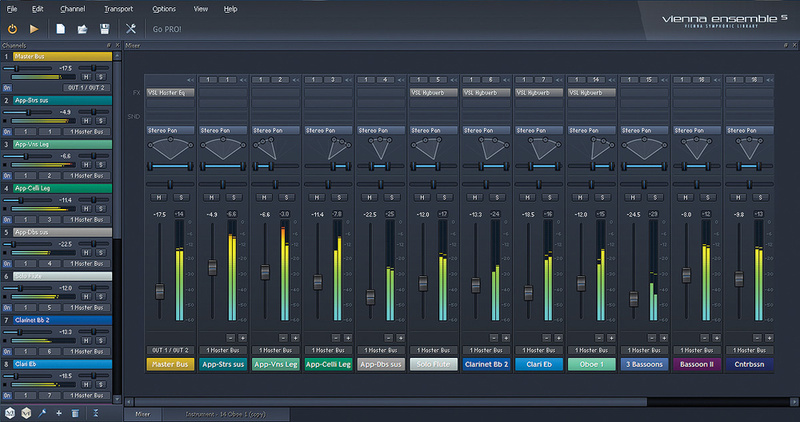 DAW: Digital Audio Workstation. In this context, specifically the software used for audio and MIDI recording/sequencing. Sample: A recording, in this context usually a single note played on a solo instrument or by an instrumental ensemble. Patch: In this context, a single presentation of a playable sampled instrument or ensemble, comprising many individual samples. Dynamic layer: A collection of samples all played at a certain volume level, ie. loud, quiet, very loud, fairly quiet, etc. Velocity: The speed of travel of the downward motion of a played key. Velocity split: The velocity value threshold at which one dynamic layer gives way to another. Piatti: Pairs of large orchestral crash cymbals, usually triumphantly clashed together at high volume. Not recommended for sensitive ballads.